Everyone knows the importance of Shabbos, and that keeping it properly is a foundation of Judaism. What they don’t know is just how many of our modern-day activities involve the laws of Shabbos – sometimes serious violations of Shabbos! 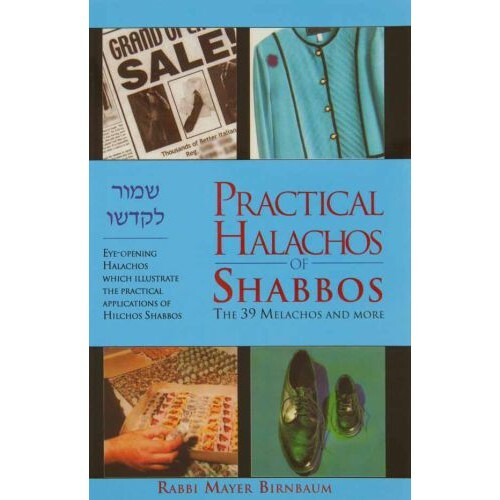 This book, with its over two-hundred halachos, points out many eye-opening situations which illustrate the practical applications of Hilchos Shabbos. It is hoped that the students will thereby realize the necessity to familiarize themselves with the laws of Shabbos and be inspired to learn all of Hilchos Shabbos. Although the book is intended for those of Bar/Bas Mitzvah age, it will certainly prove enlightening to anyone who needs to learn the Practical Halachos of Shabbos.